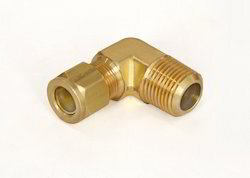 Compression Fittings, SAE/JIC Flare fittings, Pipe Fittings, Hose fittings & Customized Brass Fittings as per the Customer requirements and Specification. We also offer “Lead free” alloys products. With more than a decade of experience and having gained ISO 9001-2008 certification from DNV Business Assurance, our quality assured range of products has enabled us to Gain Confidence in manufacturing above products with industrial needs. As a company, Shree Extrusions Limitedfocuses on providing quality products, service and value to our customers. We emphasis on increasing our Facilities, Testing Procedures &Other resources based on our Customer requirements which add value to our Customer friendly policy. Established in the year 1989, Shree Extrusions Limited is emerged amongst the reputable manufacturer of an unmatched quality assortment of Brass Fittings. 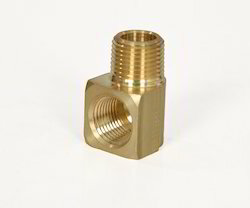 Brass flare nuts are ideal for higher pressure applications in gasoline, oil, grease, vacuum, water, air lines, along with natural gas and LP. They are also perfect on flared tubing. 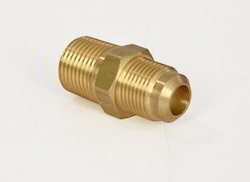 These brass parts are durable and corrosion resistant. The offered products are widely acclaimed and demanded owing to their elevated durability, sturdy construction, corrosion resistance, easy installation, precisely designed, high tensile strength and flawless performance. Shree Extrusions Limited have started Manufacturing and Exports of High Quality Brass Compression Fittings, Customized Brass Fittings as per the Customer requirements and Specification. We also offer “Lead free” alloys products. With more than a decade of experience and having gained ISO 9001-2008 certification from DNV Business Assurance, our quality assured range of products has enabled us to Gain Confidence in manufacturing above products with industrial needs. ·Lead Free, DZR, Bronze, etc. ·Any special Copper alloys as per customer specifications. Natural Brass, Nickel Plated or any special plating as per customer requirement. -65°F to +250°F (-53° C to + 121° C) range at maximum operating pressures. Confirming SAE, ASA ASME specifications. Shree Extrusions Limited have started Manufacturing and Exports of High Quality SAE/JIC Fittings, Customized Brass Fittings as per the Customer requirements and Specification. Shree Extrusions Limited have started Manufacturing and Exports of High Quality Pipe Fittings, Customized Brass Fittings as per the Customer requirements and Specification. Shree Extrusions Limited have started Manufacturing and Exports of High Quality Pipe Fittings, Hose Fittings as per the Customer requirements and Specification.